We loved doing BeerBQ. Unfortunately the event will not be held again. Please enjoy the past history of this amazing time. Beer and BBQ. Two passions that the BC Hop Co understands and appreciates. We have friends in both worlds. Pit Masters who know how to make you salivate the moment you catch a hint of the hickory and mesquite fires slowly turning locally grown pork, beef, or chicken into succulent caramelized morsels that are coveted by many, but experienced rarely in the Fraser Valley. What better to go with amazing BBQ? Why craft beer of course. We wanted our Brew Masters to work with our Pit Masters to come up with the best pairing combinations possible and show off to the world what they came up with. For a fortunate few, those with a limited number of tickets, BeerBQ offers a once a year chance to visit the farm during the height of the growing season. See the hops before they are mature, before they make it into next years brews, and choose which team hit their pairing out of the park. 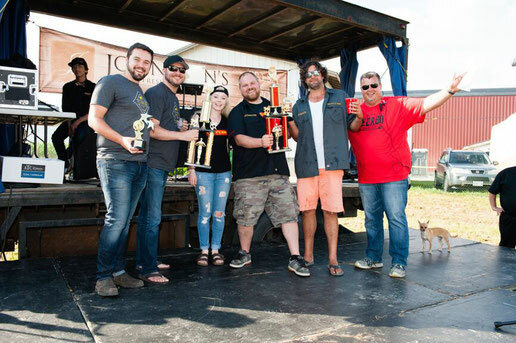 Come to the farm and see what professional and up-and-coming BBQ teams have put into the smoker and what your favourite local brewery has paired with this most carefully curated food. You be the judge for prizes ranging up to several thousand dollars for the winning teams. Tour the farm, see our new processing facility, visit the hop fields, and enjoy what promises to be an amazing day in the sunshine on Sumas Prairie here in Abbotsford, your City in the Country.